During the Coalition’s annual site visit this past summer, we learned about the Eagle Nest Housing Development on the Pine Ridge Reservation and how some of our stakeholders were creating homeownership opportunities there. We are pleased to share this story about the first family in the development that has transitioned from renting to homeownership. This holiday season, Cynthia Plenty Bull and her daughter will be celebrating in the same house they have lived in for the past six years. But this year, they will call the home their own. Cynthia is the first tenant in the 30-unit Eagle Nest Housing Development, originally built in 1997 as low-income rental housing, to make the move to homeownership. For Cynthia, owning her own home means stability. This is especially critical on the Pine Ridge Reservation, an area with an extreme housing shortage where it is estimated that an additional 4,000 homes are needed to provide adequate housing for residents. “When you are a homeowner, you don’t have to wonder when it will end or if your lease is going to increase and you won’t be able to afford it anymore,” Cynthia says. When it was constructed, Eagle Nest Housing Development made history as the first Native American low-income housing tax credit development in America, and since then has provided families with affordable housing. The project was designed as a rent-to-own development, where families would have the option to purchase their homes. As the tax credit agreements have reached maturity, Lakota Funds, who owns the development and also an active Coalition member, is reaching out to current tenants and supporting those interested in transitioning from renting to homeownership. “Although Lakota Funds has invested a lot into Eagle Nest over the last 19 years, our goal was never to turn a profit. It has always been about creating homeownership opportunities, and our board approved a sale price of the homes to make it affordable for the families in the area,” says Tawney Brunsch, the Executive Director of Lakota Funds. 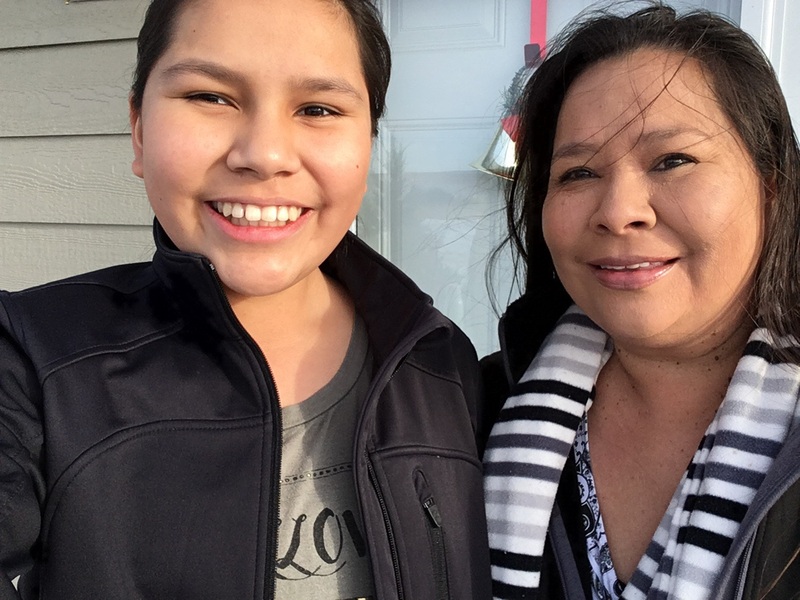 Cynthia began her homeownership journey this summer by contacting Lakota Funds. Lakota Funds then referred Cynthia to Mazaska Owecaso Otipi Financial, a nonprofit loan fund that provides home loan products and also a Coalition member. Working between the two partner organizations and her bank over the next five months, Cynthia was connected to all of the resources and capital she needed to reach her homeownership goals. Mazaska and Lakota Funds helped her with financial projections and budgeting to ensure the home purchase would be affordable. She worked with her bank to consolidate debt and lower monthly credit card payments. Cynthia also completed Mazaska’s homebuyer readiness course so she would know what to expect as a homeowner. The nonprofits helped her identify a local contractor to plan out and estimate several renovations that she would roll into her mortgage loan. Mazaska was also instrumental in helping her access all of the subsidies she qualified for to offset down payment and closing costs, and make the home purchase more affordable. In addition, Mazaska provided the mortgage for Cynthia’s home purchase. Cynthia closed her loan in October with zero down payment and closing costs, and her monthly payment on her 20-year mortgage is about the same as her rent payments were. Overall, she couldn’t have asked for a smoother transition from renting to owning. Cynthia now owns a 3-bedroom, 2-bathroom home with a new roof and windows, remodeled bathrooms, new flooring and paint, and many more upgrades. Cynthia explains that her daughter, Tia, was instrumental in the renovations. They chose all of the materials together, and Tia provided input and some great ideas throughout the process. “It was a really good experience for Tia, because when she grows up and wants to purchase another house she will know the steps,” says Cynthia. In the meantime, Lakota Funds and Mazaska are helping more Eagle Nest families through the same home buying process. They anticipate that one more home loan will close by the end of the year and more will close in early 2018. “It’s really exciting to see the momentum that Cynthia’s home purchase is creating. Now more families are inspired to go for homeownership,” says Tawney.